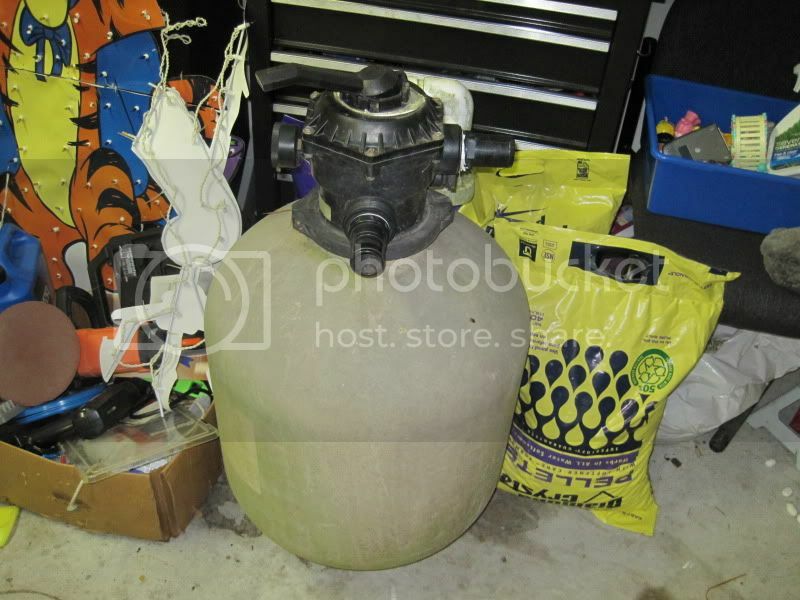 I bought a used sand filter off Craigslist. I don't know the brand and there are no readable markings. Can anyone give me a clue as to which port is which? (i.e. can you tell by which side the pressure gauge is etc?) 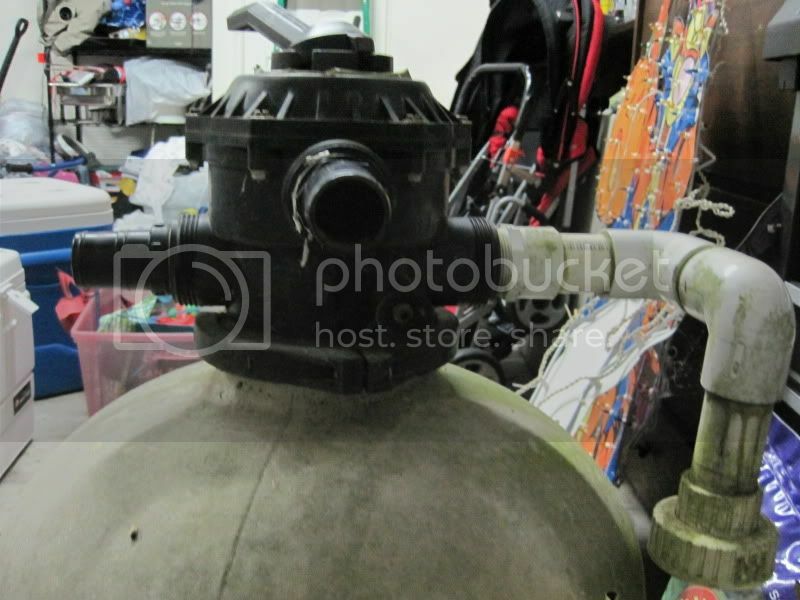 I'll be hooking this up to a 3/4 hp pump and 12000 gallon above ground pool. 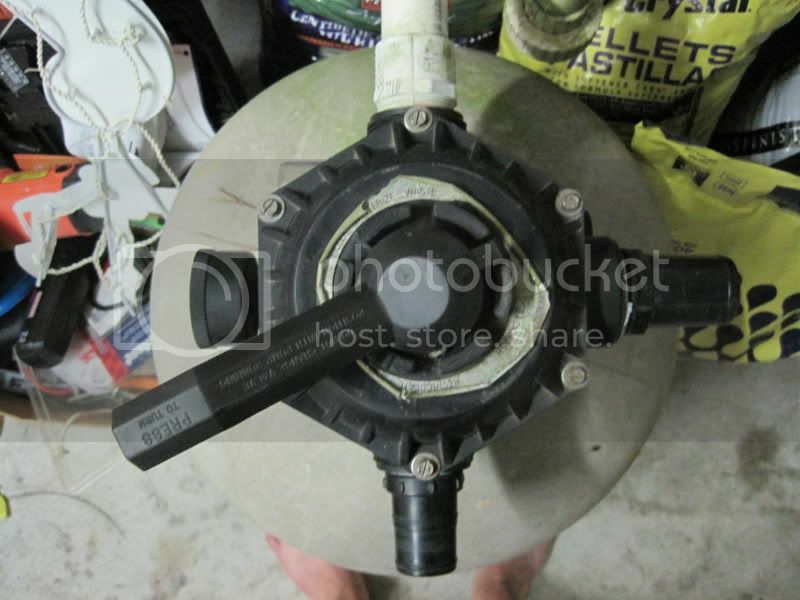 From what I understand the hose from the pool goes to the pump, from pump to intake on filter, and output of filter goes back to pool, and the 3rd port is for flushing/waste. Any hints etc are greatly appreciated. Also if anyone has any generic instructions for using a sand filter and what to do the first time you run it, flush it etc. It a Pentair Sand Dollar, though I can't discern which size. It's a Sand Dollar Looks like a SD-60 or maybe an SD-80. Here's how it's plumbed. In the picture with the white pipe to the top. The white pipe is the waste port. 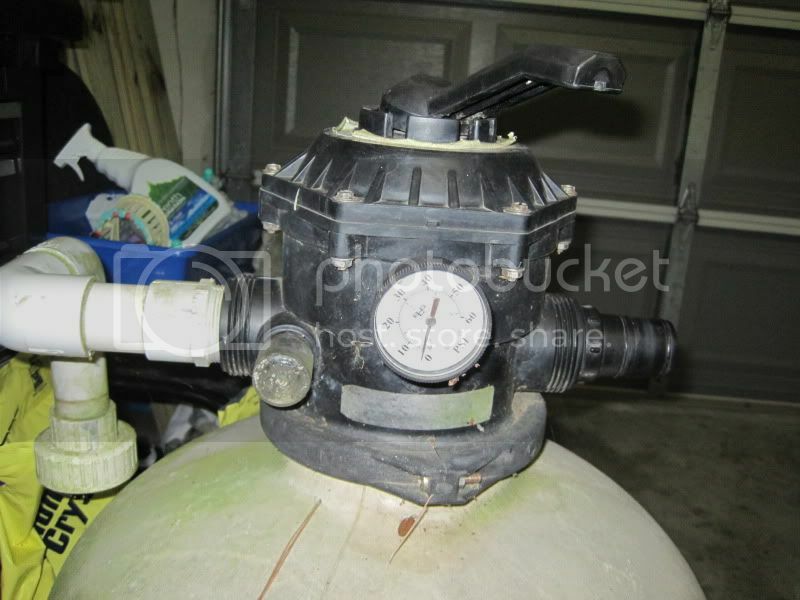 The port to Right (opposite pressure gauge) is the inlet from the pump discharge. The Bottom port (opposite the white pipe) is the outlet port that returns back to the pool. You can probably call Pentair and they may sell you a new top label. I can give you the positions this evening when I get home if you need them. Thanks! Found documentation online from Pentair, will install it this weekend. Ok, one more question...how do I know how much sand to put in it? Fill with sand till the top of the sand bed is ~12" from the neck. Sand comes in 50 LB bags. Cover the center pipe and keep it centered when pouring the sand. Don't sweat a little spillage. Don't buy wet sand. It doesn't flow from the bag when pouring, a significant PITA. Please make sure that the laterals and stand pipe are in good shape before refilling the filter! This is the first I've heard of the gravel trick. Can you please explain what the purpose is? The pea gravel around the laterals improves the flow & sand will become embedded in the laterals at some point and restrict the flow, et. al. Where can you typically get sand for the filter, and which type? Will the sandbox sand at Lowes work? no, it is a special sand designed specifically for filters. You can get it at a local pool store. You can also check your lowes by the pool stuff they sometimes carry it. It needs to be #20/21 filter sand. Lowes sometimes carry it. Old time filter set-ups layered decent sized rocks on to perforated pipes on the bottom followed by smaller stones down to pea gravel before the sand. I vaguely remember the original filter on our 1946 pool being of boilerplate steel and standing four feet high and maybe 40" across. We had two for a 40,000 gallon pool. Loaded, each must have weighed at least a thousand pounds. Anyway, besides showing my age, I just wanted to point out the gravel/sand interface is an ancient technique in pool filtration.